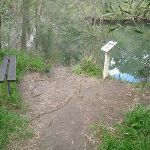 From the intersection on River Ave (near Delhi Rd), this walk follows the ‘Great North Walk – Sydney Cove’ sign up along the rocky track. 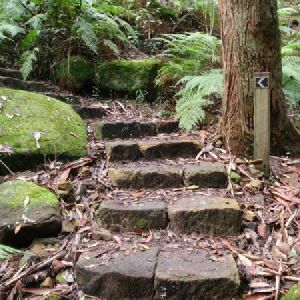 The track soon leads up a steep rock staircase and past a small bench seat. The track continues to wind quite steeply up, passing a few GNW arrow posts and winding among some large boulders to climb up onto a large, flat rock platform. Here, the walk veers left and follows a mostly flat narrow track through the bush for about 170m, then heads around a locked gate to find the end of Quebec Rd. Continue straight: From the locked gate, this walk follows the sealed Quebec Rd, keeping the fenced Northern Suburbs Memorial Gardens on your right. The narrow road continues for about 300m passing a couple of driveways (to your left) to come to a T-intersection with Quebec Rd and Fairylands Ave. Here the walk turns right and follows the now wider Quebec Rd as it bends left and leads downhill. Just before the road bends left again (near the bottom of this hill) this walk comes to an intersection with a track (on your right), marked with a GNW arrow post. 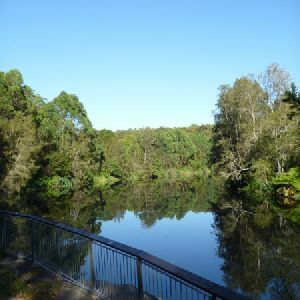 Turn right: From the opposite number 101 Quebec Rd, this walk follows the GNW arrow post, under the power lines and down the track past the ‘Dogs Strictly Prohibited’ and ‘Lane Cove National Park – Fairlyland Track’ signs. 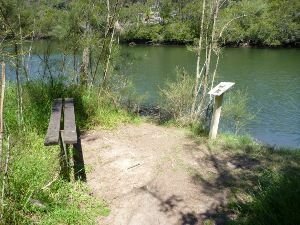 The track soon leads over a short section of timber boardwalk and along the track for a bit over 100m to an unfenced rock platform, with river views (on your left). 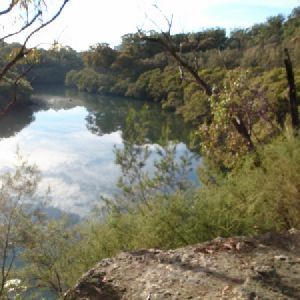 This small, informal and unfenced viewpoint is atop a large natural rock platform, between Fairyland and River Ave. There are a few in the area, but this is the most distinct. 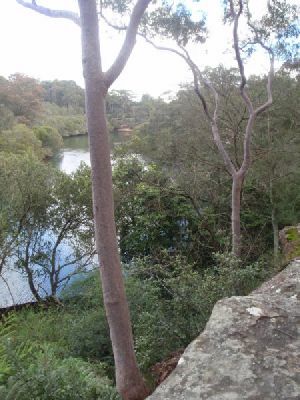 From here, there are nice views down the Lane Cove River. The area is unfenced and there is a significant drop off the side. Continue straight: From the view point, this walk heads along the flat track whilst keeping the river below to your left. 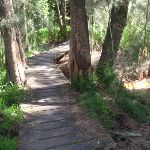 After about 150m, this walk starts to lead down a set of timber steps, winding down then along short timber boardwalk to come to a ‘Site of Fairyland Pleasure Grounds’ information sign. 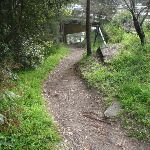 The walk continues along the track through the ferns to an intersection beside a large palm tree, just past the ‘Fairyland Pleasure Grounds’ sign where a short track on the left leads to a seat beside Lane Cove River. 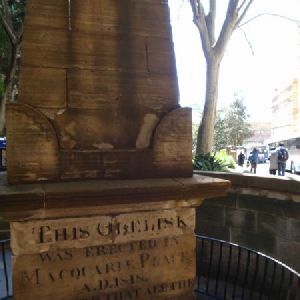 Once formally known as ‘Fairyland Pleasure Grounds’, and casually as ‘The Rest’, this site was similar to several others in Sydney. 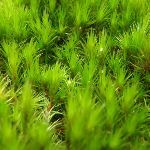 The land was purchased by Robert Swan in 1896 and encompassed about 17 acres in total. Part of the land was cleared for a market garden, growing strawberries and melons. By the early 1900s, the market garden had closed and the area had become a popular picnic and play ground, for people arriving mostly by boat. This was a very popular spot to visit for a special day out. Today, the buildings have (mostly) gone and the cleared area has grown back, but it still can offer a relaxing picnic and lunch spot by the river. 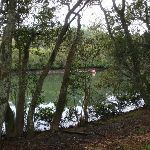 Continue straight: From the centre of Fairylands, this walk follows the GNW arrow post, keeping the Lane Cove River through the trees to your left and soon passing the ‘Take Yourself Back to Fairyland’ photo sign. 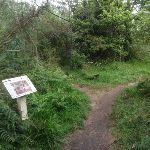 The walk then follows the timber boardwalk through the moist forest to the ‘Site of Fairyland Pleasure Grounds’ information sign, where the track then leads up a series of timber and dirt steps out of the old pleasure grounds. At the top of the steps, the track bends sharply left then continues uphill for another 70m or so. Here, the track leads down and over a small flat timber bridge then up to a signposted intersection in view of a concrete building (up to your right) and a high tension transmission tower (to your left). Continue straight: From the intersection, this walk follows the GNW arrow downhill along the track, passing under the power lines whilst keeping the transmission tower to your left. 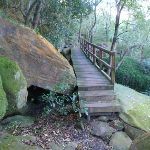 Soon after passing closer to this tower, the rocky track leads uphill for about 100m and crosses a timber bridge with a hand rail. 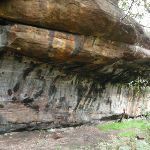 From here, the walk crosses two short flat timber bridges then leads past a short rock wall. 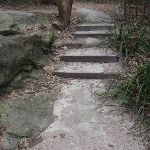 Soon after this, the track leads up a series of timber steps and just after flattening out, this walk comes to a signposted intersection with a concrete footpath, beside Epping Road bridge. Veer left: From the intersection, this walk follows the ‘Great North Walk’ sign down a few steps and along the footpath under the bridge. 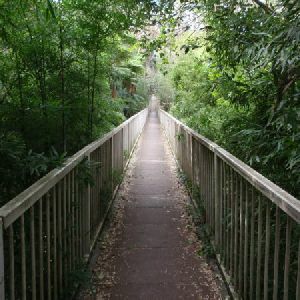 On the other side of the bridge, this walk turns right and heads up the stairs to an intersection with a wide shared footpath beside Epping Rd. Turn right: From the intersection, this walk follows the GNW arrow post down across the main bridge span, keeping the traffic to your left. After almost 100m, this walk comes to the other side of the bridge, where there is an intersection with another set of stairs (on your right) and another GNW arrow. Turn right: From the intersection, this walk heads down the stairs away from the main road, to turn right under the bridge. The track heads under the bridge to come out the other side, continuing along the river bank for approximately 50m to the car park. Veer right: From the intersection, this walk heads up the stairs, keeping the oval on the left of the walk as it winds around the hill. The walk leads to a park bench and intersection, above the spectators’ stand. 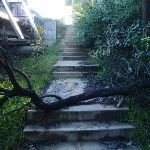 Turn left: From the intersection, the walk heads down the stairs with a large boulder to the left of the track. 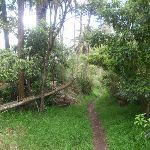 The track passes under a large fig tree to continue down to a signposted intersection. Veer right: From the intersection, this walk heads along the Lane Cove River, with the water to the left of the track. 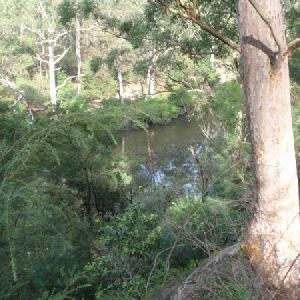 The track quickly opens out onto a clearing next to the river bank. The track continues left for a few more metres, before two sections of boardwalked track lead to a signposted intersection. 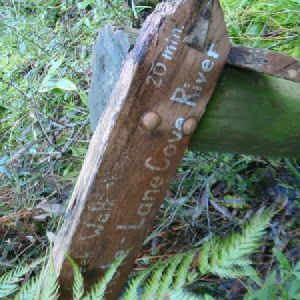 Continue straight: From the intersection, this walk follows the direction of the ‘River Track’ arrow, keeping the river below on the left of the track. 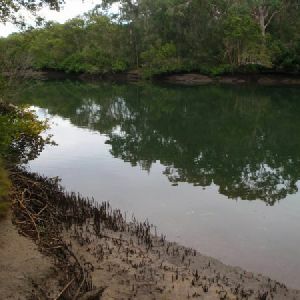 Large sections of track are suspended above the mangroves on a boardwalk. 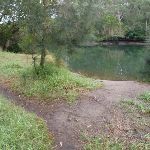 The track winds along the Lane Cove River bank for approximately 400m to a signposted intersection. Continue straight: From the intersection, this walk heads south-east, keeping the river below on the left. 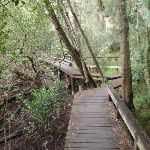 The track has boardwalks in sections which are raised above the mangroves. The track continues to a signposted intersection. Veer left: From the intersection, this walk heads along the line of mangroves and river (on the left of the track). 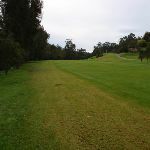 The walk continues for a short time to come out onto the management trail, behind the green of the 8th fairway on Chatswood Golf Course. Continue straight: From the intersection, this walk heads down the hill and across the bridge. 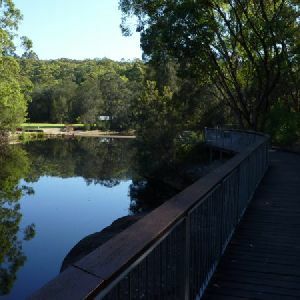 The walk hugs the treeline, continuing down the left of the 8th Fairway, with the Lane Cove River to the left. 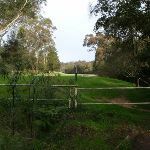 The walk passes the 8th Tee and heads past the metal fence to come to the signposted intersection. 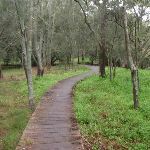 Continue straight: From the intersection, this walk heads away from the golf course, following the Lane Cove River (on the left of the track). The walk continues under the river bank’s shady vegetation for a short time to the intersection of Delhi Rd and Lady Game Dr. Turn sharp left: From the intersection, this walk heads down (away from the road) and under Fullers Bridge, then comes up the other side to meet the footpath next to Lady Game Drive, opposite Fullers Park. Turn sharp right: From the intersection, the walk follows Lady Game Drive towards the set of traffic lights, and soon reaches the intersection with Delhi Rd. Turn right: From the corner of Lady Game Drive and Delhi Rd, this walk follows the footpath beside Delhi Rd, across Fullers Bridge. 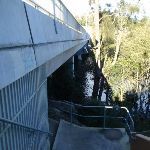 Just on the far side of the bridge, this walk comes to an intersection with a footpath (and steps, on your right) about 15m before the bus stop shelter. Turn right: From the intersection between the bus stop and bridge, this walk heads down the steps (away from the road) to almost immediately come to an intersection with another footpath. 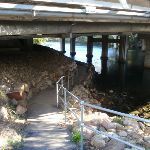 Turn right: From the intersection, this walk follows the footpath under Fullers Bridge and comes to the end of a minor road, in front of the ‘Riverside Cafe Bar AND Grill’. 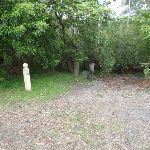 Turn right: From in front of ‘Riverside Cafe Bar & Grill’, this walk heads up along the minor road. At the T-intersection with River Ave, this walk crosses the road to find a ‘Great North Walk’ signposted intersection. 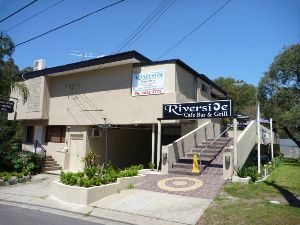 The Riverside Cafe is found at the end of service road on the south-west corner of Fullers Bridge. 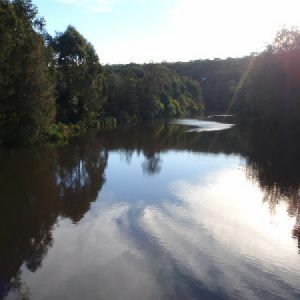 The nicely renovated building looks over the Lane Cove River and is open 7 days, serving breakfast, lunch and dinner. The food is cafe-style and meals are priced upwards from $13. Ph: (02) 9412 3773. 3km of this walk has gentle hills with occasional steps and another 1.1km is flat with no steps. Whilst another 930m has short steep hills and the remaining 330m is very steep. 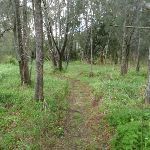 2.2km of this walk follows a formed track, with some branches and other obstacles and another 1.9km follows a clear and well formed track or trail. 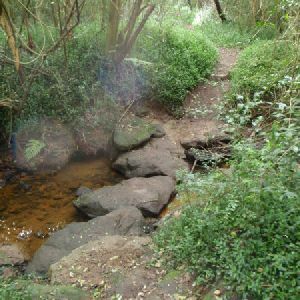 Whilst another 920m follows a smooth and hardened path and the remaining 330m follows a rough track, where fallen trees and other obstacles are likely. Around 2.8km of this walk has directional signs at most intersection, whilst the remaining 2.5km is clearly signposted. 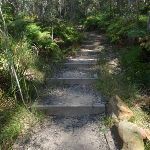 Around 5km of this walk requires no previous bushwalking experience, whilst the remaining 330m requires some bushwalking experience. This whole walk, 5km is not usually affected by severe weather events (that would unexpectedly impact safety and navigation). 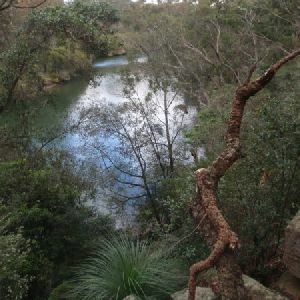 Around 3.5km of this walk is close to useful facilities (such as fenced cliffs and seats), whilst the remaining 1.8km has limited facilities (such as not all cliffs fenced). 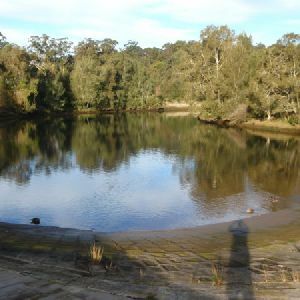 A list of walks that share part of the track with the Fairylands Loop Track walk. 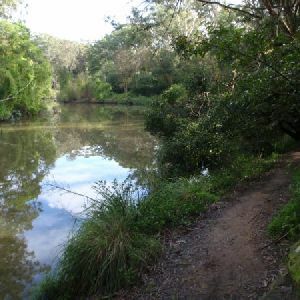 Following the Lane Cove River, this walk mostly follows a section of the Great North Walk and is well maintained and signposted. Things to lookout for include Fiddens Wharf which is a very pleasant spot to sit and watch the ducks. 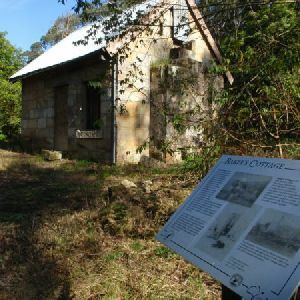 The walk passes by Lane Cove National Park Headquarters, so pop by and check out the other experiences available in the park. 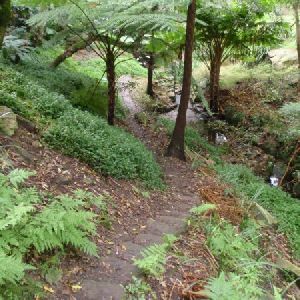 This walk takes you down into the v-shaped valleys that run between the houses of Roseville and Chatswood. 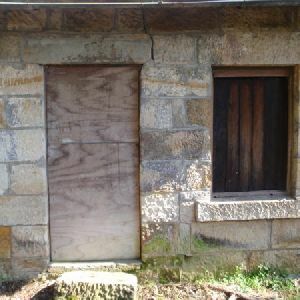 The walk stays predominantly in the valleys, with many sections on road or footpath. 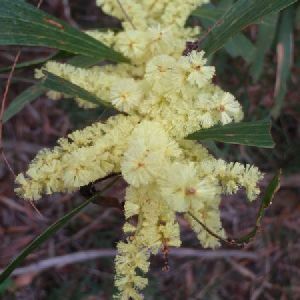 This walk has a surprising amount of bushland which is very close to civilisation. 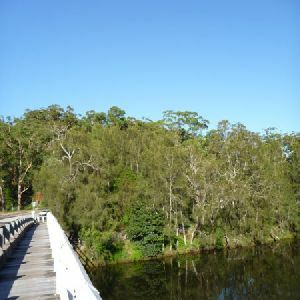 The walk also passes the Lane Cove River Steak and Seafood Restaurant which is a great spot for a lunch break. This walk is a great one from Chatswood Station to the Lane Cove River National Park. 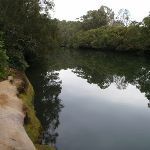 The walk descends through the vegetated bushland which fills the valleys of the Lane Cove River. 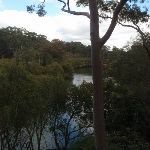 There are two places to buy a bite to eat, the Chatswood Golf Club and the Lane Cove River Steak and Seafood Restaurant. 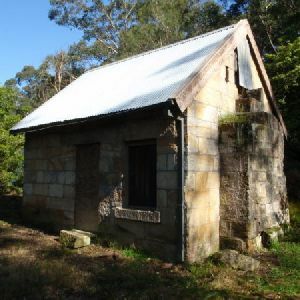 This walk starts at Roseville station and explores the streets and alleyways of Roseville before joining the main spine of the Great North Walk at Fullers Bridge. 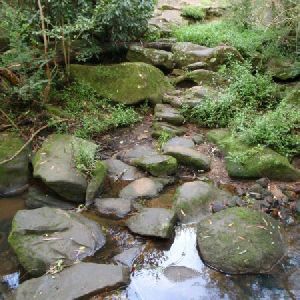 Here you head deeper into the bush to explore the eastern bank on the Lane Cove River. 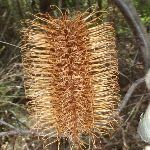 There is a great diversity of mostly dry forest and some great sandstone rock formation, as well as a side trip to Blue Hole to enjoy. 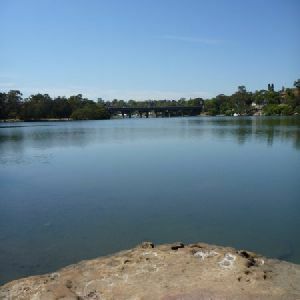 Soon after Blue hole you leave the river (and GNW) to cross over De Burghs Bridge, past a few cafes and restaurants to find Macquarie Park railway station. 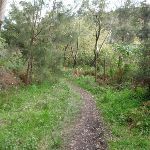 A list of walks that start near the Fairylands Loop Track walk. 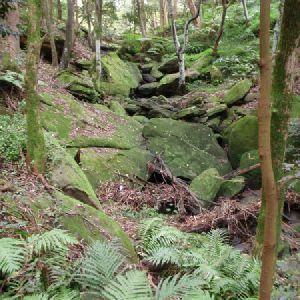 This is a short loop which escapes the city of Chatswood and drops down into the undeveloped valleys. The track is quiet and cool in the shade which the thick canopy provides. 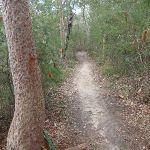 A great short walk or run during the lunch hour. 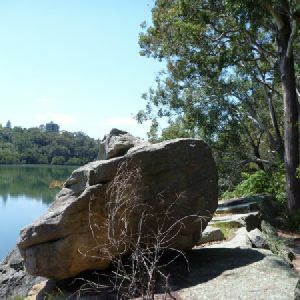 This is a scenic walk which takes in views of the Lane Cove River and some heritage buildings. 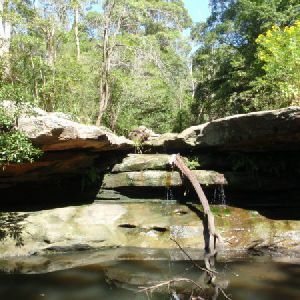 Porters Creek bridge is a fantastic example of extravagant stone work, cut locally from the creek itself. 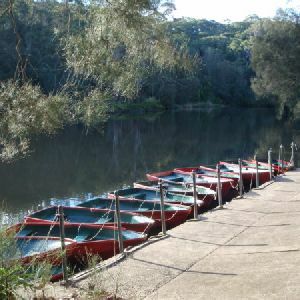 The walk generally follows the Lane Cove River, passing many favourite sun baking spots for the local water dragons. 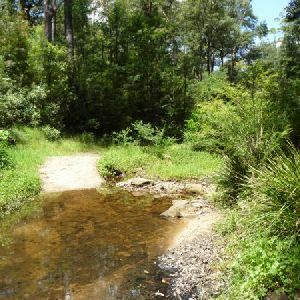 Water Dragons and water birds seem to favour this lower bank, along with picnickers who enjoy the many grassed picnic areas along the way. 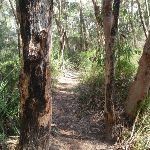 http://new.wildwalks.com/wildwalks_custom/includes/walk_fire_danger.php?walkid=nsw-lcnp-fllt Each park may have its own fire ban, this rating is only valid for today and is based on information from the RFS Please check the RFS Website for more information.